To get updates on the latest news and happenings in Toronto area subscribe to Russian Express! Topics of emails include promotions, news, partner notifications, holiday ideas, business growth ideas and time sensitive offers from Russian companies and professionals. "Russian Express" is published since 1999 and over the past twenty years, it has evolved from a weekly newspaper - to being an integral part of the Russian-speaking Community of Canada. Being in the center of all political, social and cultural events, we focus on being an honorary representative of both ordinary people, business leaders and a voice for Russian companies and professionals. 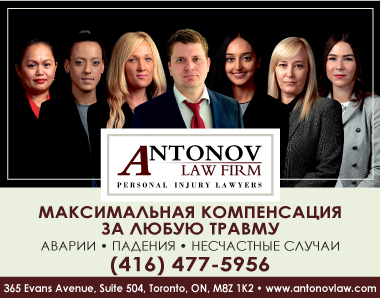 By opting into emails from the “Russian Express” you will be receiving insightful and intriguing posts that are relevant to the members of the Toronto community and Russian speaking Canadians utilizing content from “Russian Toronto”, business directory and masterpages.ca. Join us today to start receiving the Russian Express notifications.